You are in the market for a laptop. You are aware that Windows and Chrome OS laptops are cheaper and are now just as well crafted and designed as Apple ones. You do not care. You want an Apple laptop. As an avowed user of the platform for 20-plus years, I support this decision to spend more money than you should to use a wonderful OS on some nicely designed hardware. But the question is which laptop do you buy? And my answer is simple: The MacBook Pro with Touch Bar. It is currently the only 13-inch laptop available with Intel’s new HK-series of CPUs, and it’s consequently the fastest 13-inch you can own. It has over 10 hours of battery life, 4 Thunderbolt 3 ports, a gorgeous Retina display with a 2560 by 1600 resolution and the wider DCI-P3 colour gamut that renders a wider range of yellows, reds, and greens than the more common sRGB gamut. The Pro is an exceptional piece of hardware. The Pro starts at £1,750. That is a lot of money and many people cannot afford that or do not want to spend that much money. So, if you are on a budget (by Apple standards) which MacBook do you buy? That’s a little more complicated than you might think. 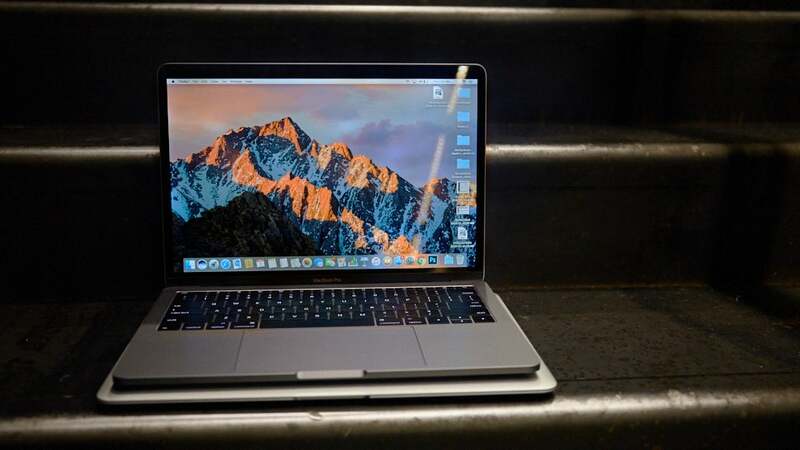 Apple currently sells four different MacBooks for £1,250 or less. 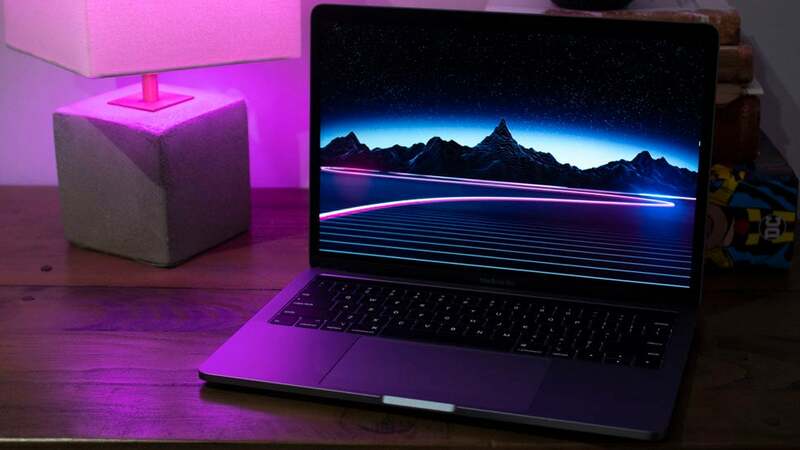 They all have their pros and cons, but choosing which is right can be confusing, because unlike other laptop makers Apple doesn’t refresh its laptops when new CPUs are released by Intel. Instead it takes its time, so in some cases different laptops with different prices have the same CPUs but a generation, or even three generations apart, and sometimes the more expensive laptop actually has the older guts inside. But overall, for most people? The new MacBook Air will make the most sense. The new Air, which we just reviewed, starts at £1,200, which strikes me as too much money for the device. Plus, seeing as I just wrote an entire review complaining about the Air, let’s break down its features compared to its competitors so you don’t find yourself going to buy a laptop and making a big mistake. The Old MacBook Air is still available from Apple for £950. Compared to the new one it has a nicer keyboard, USB-A ports, and a built-in SD card reader. It also has a 5th-generation U-series processor from 2015 in it. Which means it is very slow. Worse, it has a 1400 by 900 13.3 inch display in it. That display isn’t as bright or colourful as the new Air’s, and it can’t produce the same kind of detail. The old Air also weighs 2.96 pounds versus the new Air’s 2.75, and it’s about .07 inches thicker. The new Air has a Y-series CPU, which is generally slower than the U-series—but the new Air’s CPU is from 2018, not 2015, and consequently, the new Air is faster than the old one. It also has a Retina display with a 2560 by 1600 resolution, a much larger touchpad, two Thunderbolt 3 ports that can support everything from SD card readers to external GPUs and a power button that doubles as a Touch ID sensor powered by Apple’s T2 processor that should allow you to securely store your biometric data with less concern for people hacking it (as they could potentially do if the laptop’s primary CPU handled the authentication). If you’re buying an Air, buy the new Air. 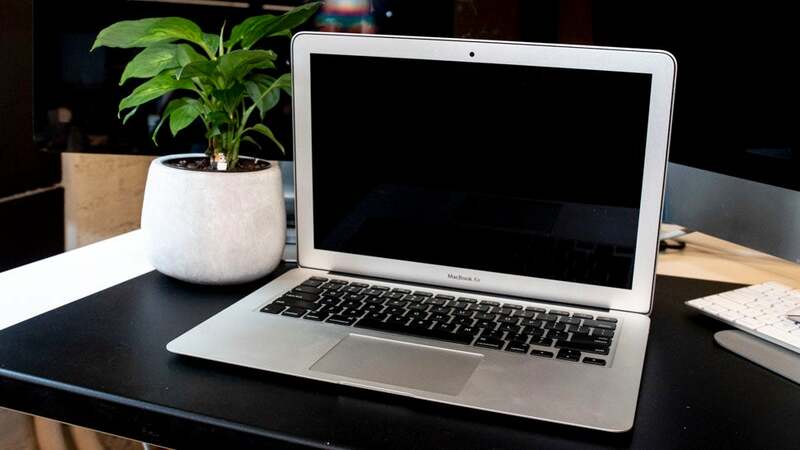 When Apple relaunched the MacBook in 2015, it appeared that the Air was being replaced. At the time the MacBook seemed cheaper and smaller. 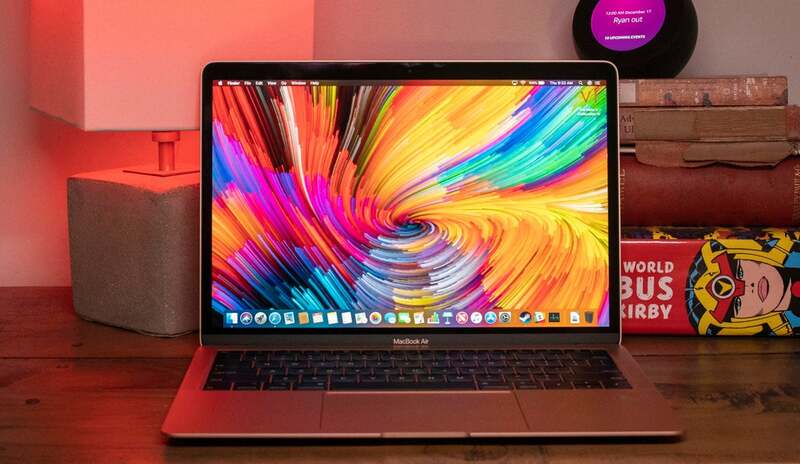 The MacBook is still smaller and lighter than the Air, weighing just 2.03 pounds to the Air’s 2.75 pounds, but starting at £1,250 it’s also more expensive than the Air. What does that extra £50 get you? Well, the MacBook does come with a 256GB SSD at that price. You’ll have to pay £1,400 for an Air with the same amount of storage. And...that’s about it. The MacBook has a 12-inch 2304 by 1440 Retina display and a 7th-Gen, not 8th-Gen, Y-series processor. Which means you can do less stuff on the smaller screen and it will be slower. And while the Air has two Thunderbolt 3 ports, the MacBook has only a single USB-C port. There’s also no Touch ID. So unless size is the only critical factor in your buying decision, buy the Air. This one is where things get complicated. 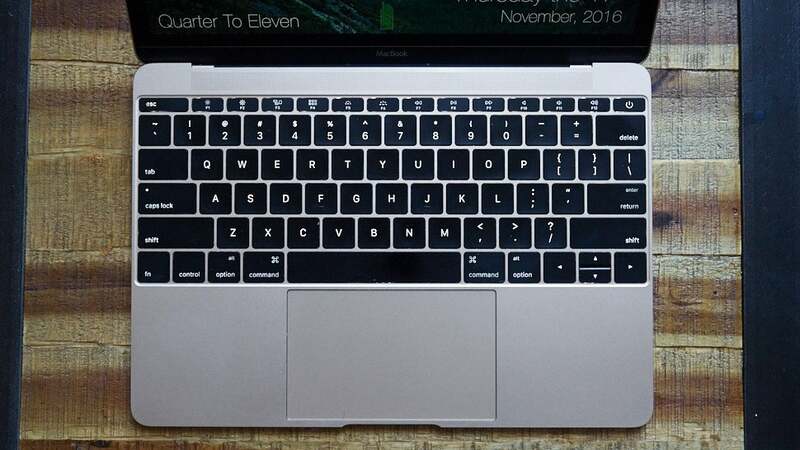 As with the MacBook, there is only a £50 difference between the new Air and the MacBook Pro without Touch Bar. But the MacBook Pro without Touch Bar (from here on out referred to only as the MacBook Pro) could be a decent deal for some people. For £1,250 versus the Air’s £1,200, you’ll get the same 128GB of storage and two Thunderbolt 3 ports. You also get a Retina display with a 2560 by 1600 resolution, just like the Air. But the Pro supports the wider DCI-P3 colour gamut, and while its CPU is from 2017, it’s a U-series CPU, which tends to be faster than the Y-series. We haven’t tested the 2017 model, but the 2016 version benchmarked nearly identically to the Air and lasted another hour and a half in our battery test. It is fair to assume the 2017 version would also have the better battery life, and be a little faster than the Air. But a slight improvement in speed and better battery life does have some downsides. The Pro weighs 3.02 pounds versus the Air’s 2.75 pounds, and it’s using last year’s keyboard, which means it will be more susceptible to crumbs than the Air. Plus there’s no Touch ID. Which means that if portability and security matter more go with the Air. If battery life and performance matter more consider the MacBook Pro. And if you can somehow save up the money get that MacBook Pro with a Touch Bar. It really is a superb laptop.